Tech5 provides fast, reliable and secure storage space and access, as well as Cloud Servers for websites and other needs. As one of only a few secure cloud hosting providers in South Africa, we have ensured that we can offer the highest speeds of access which in turn gives us a truly competitive edge. 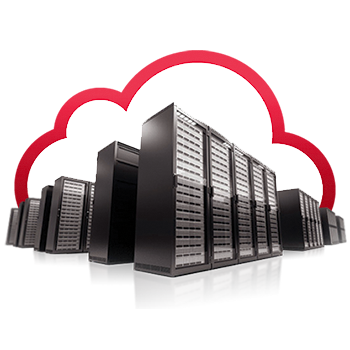 No matter your Cloud Server needs, if you want the best service in Cloud server hosting then you can turn to Tech5. We underpin our standard of excellence by using only well-known and trustworthy brands of both hardware and software. If you don't need our service anymore, no problem, you can cancel at anytime! Let's get You Connected right away! You can choose from our fit for purpose service plans from our 5Mbps entry level offering, or our premium plan at 100Mbps. One stop shop, for real! No matter which service you choose we will install all the necessary equipment and fibre cabling including the broadband router. Broadband Connect Fibre is deployed with an option of 1 or 5 Static IP addresses. Customers can subscribe to accounts and pay only a monthly fee of R50 VAT incl. per IP-Talk account that provides 087 numbers. Call usage is paid in arrears based on the Tech5 VoIP rate card. This optional IP Talk voice service does not eat into your data cap/usage. The Voice service offers cost savings of up to 30% on your monthly voice account and free on-net calling from one Tech5 IP-Talk to another Tech5 IP-Talk-connected site. When deciding on what service to opt for, you need to consider a few factors such as wanting to make phone calls over the broadband connection as well as access various applications be it an online archive or mail & shared services application such as Office 365, or simply share the connection between a number of employees. Whatever your requirement we have the plan for you!